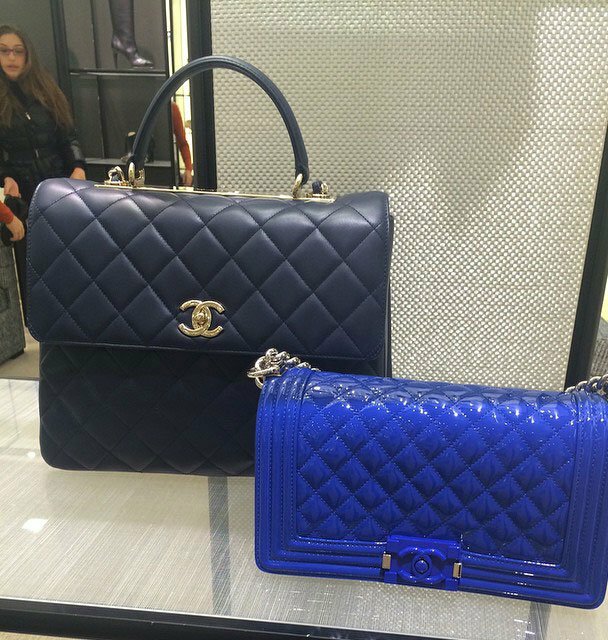 It’s mixed between the Chanel Wallet and Chanel Small Classic Flap Bag. It has no chains or whatsoever to carry on your shoulder. 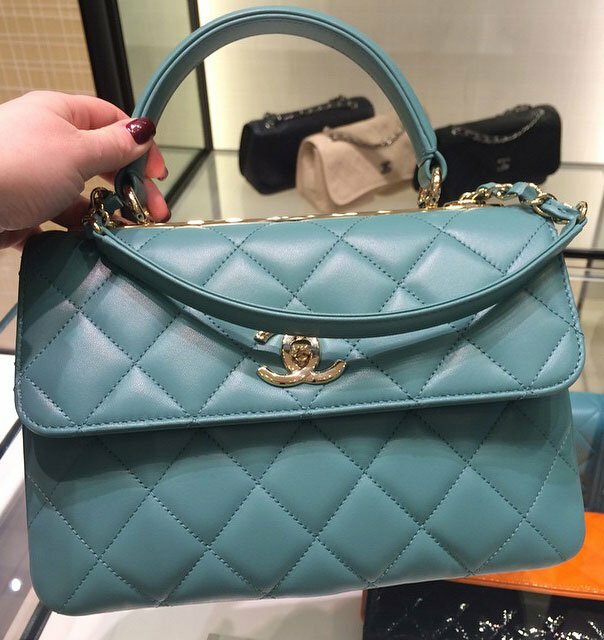 And it has no handles; it’s the new Chanel Beauty CC Clutch Bag from the Cruise 2015 Collection. Quilted from the front to the back, crafted what appears to be a front flap, but its actually a foldable pouch. It’s an evening accessory to company your little black dress. Special nights demand chic and practical clutches, the Chanel Beauty CC Clutch Bag is embellished with a little CC on the front, turning your world into everything-elegant yet humble. Because of its small size, it can carry only your most important essentials, but how much do you actually need when you’re out and about? The Beauty CC Clutch comes in two style; both are made with soft lambskin, one is black and the other is patent blue. 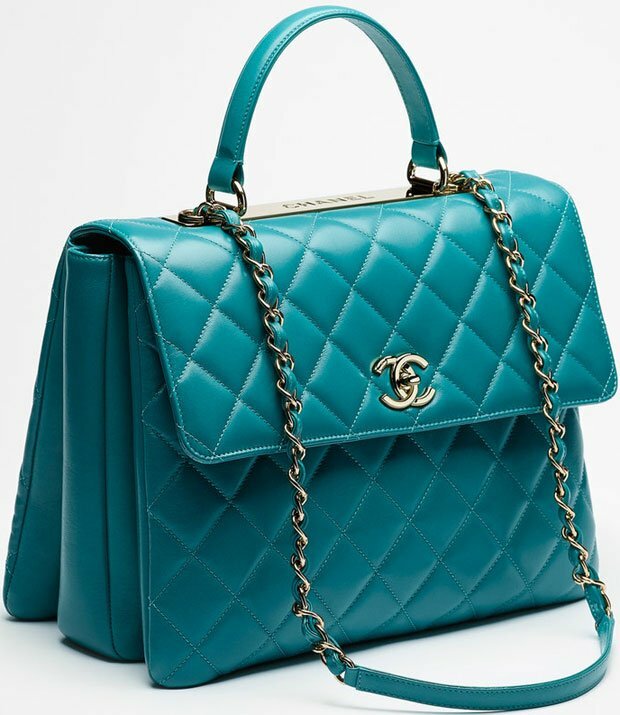 Measuring 6.3 x 10.4 x 1.8 inches, style code: A69391, priced at $1500 USD at Chanel boutique. 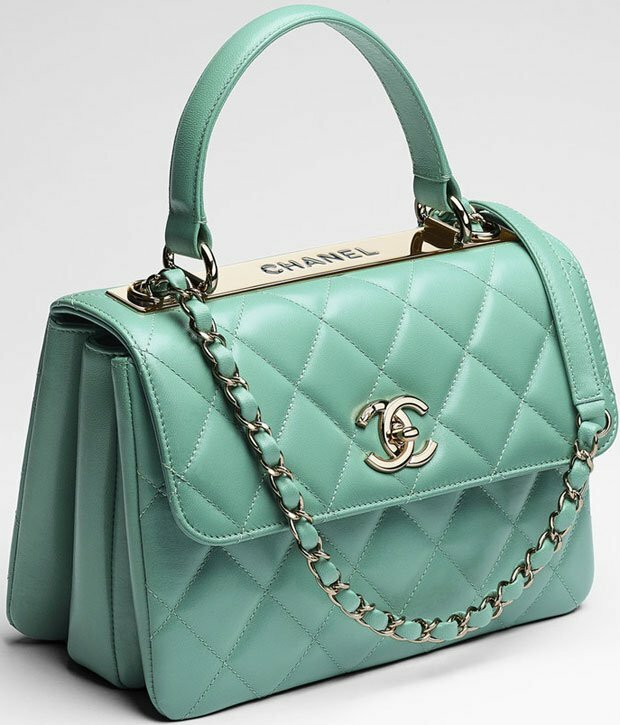 Every season or so, Chanel put together a handbag that’s named ‘CC‘. And usually, everything with a CC in its name is either gorgeously chic or outrageous attractive. Oh, you don’t belief me. 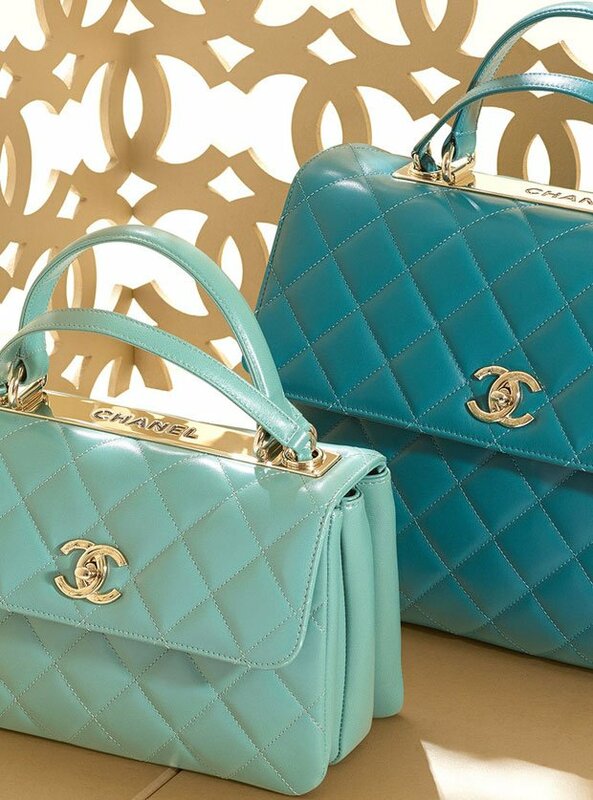 Have you met the Chanel Gold Class Double CC Bag yet? The one with the golden CC logo on the front and of course quilted? And even the CC shoes are so drop-dead-gorgeous that they were sold-out on the day that they were released in store. 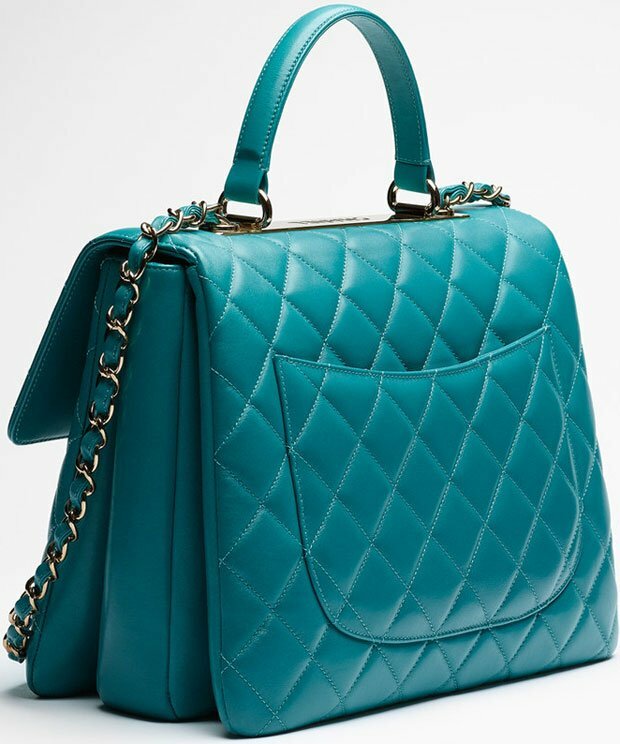 All right, enough convincing, for the Fall Winter 2014 Collection, introducing the Chanel CC Delivery Quilted Tote Bag. 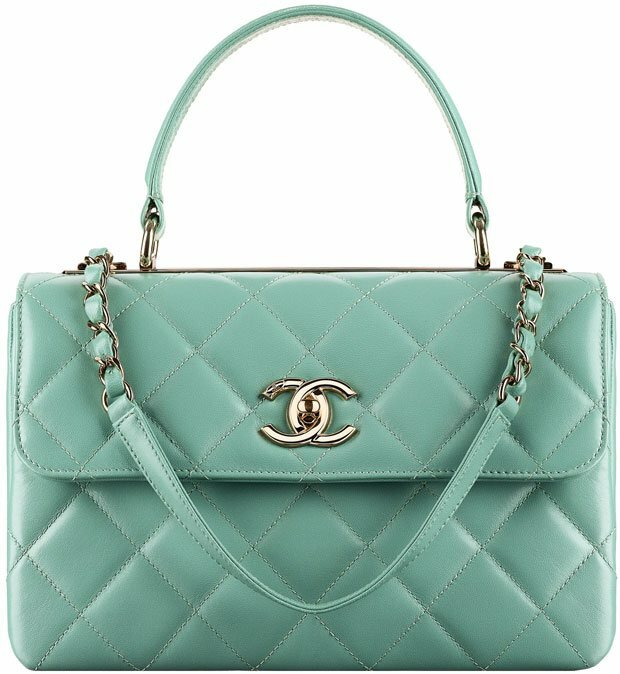 A large Tote bag version of the Classic Flap Bag, quilted from the front to the bottom and embellished with the traditional CC logo on the front. It’s a tote bag with a front flap, how catchy! 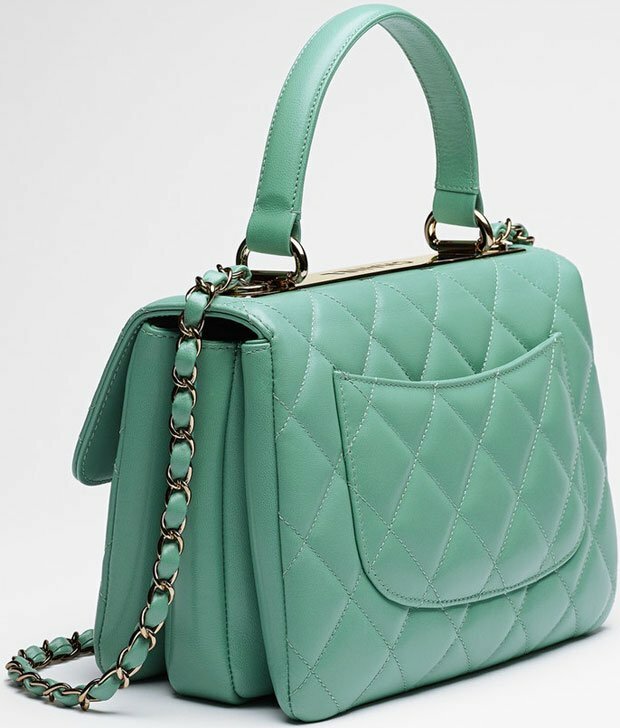 Though Karl Lagerfeld designed the bag with rigid handles, kind-of like the ones that comes with a free shopping bag, it also crafted with interwoven chain links in the center. And for your information, the chain links are long enough to carry on your shoulder, isn’t it beautiful? 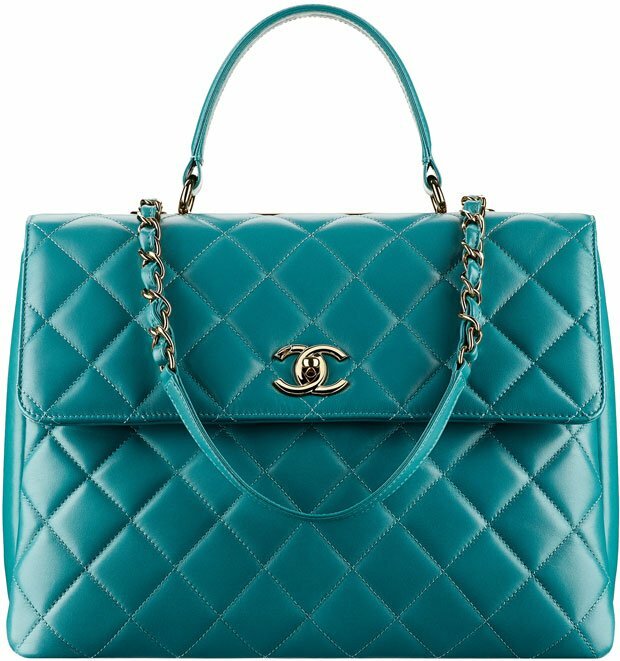 Made from calfskin, finally an alternative to the Chanel Classic Maxi Flap Bag. The CC Delivery Quilted Tote Bag has more space than you will ever need.